Cindy Fazzi, author of “My MacArthur” 2:00 p.m. 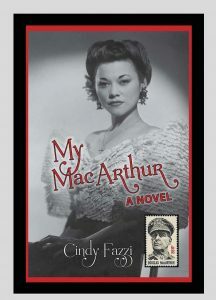 Author program and book signing with Cindy Fazzi, author of the novel “My MacArthur,” the first book to focus on General Douglas MacArthur’s interracial relationship with Isabel Rosario Cooper, a young Filipino actress, in the 1930s. The relationship broke many of the taboos of the time.